BITS Admission Test, which is popularly known as BITSAT 2019 Exam, is conducted for those students, who are seeking admission in professional courses in the field of engineering and medical sciences. Admissions to Integrated first degree programmes, at Pilani campus, Goa campus and Hyderabad Campus for I Semester 2019-20 will be made through a computer based online test conducted by BITS. This test is referred to as BITS Admission Test, in short as BITSAT 2019. Computer Based Online test means the candidate sits in front of a computer and the questions are presented on the computer monitor and the candidate answers the questions on the computer through the use of keyboard or mouse. Each computer is connected to a server, which prepares the question set and delivers it to the candidate on the computer. Institute itself takes this test for admission in its various course. This is unlike the traditional paper-pencil based test, which is generally offered on a single day to all candidates. BITSAT 2019 will be offered over a period of time and the candidate can choose the Center, the Day and Time of his/her convenience to take the test. The test generally held on May. Last year it was secluded on 14th May – 29th May 2015. Candidates can apply for BIT-SAT- 2019 only “Online”. The submission of Online application form through website can be made from December. The Information Brochure will be available ON LINE on the websites. Online submission of Application Form may be made by accessing Board website www.aipmnic.in. Interested candidates should register their names for BITSAT 2019 by applying in the prescribed application form online. Complete the application form online at http://www.bitsadmission.com and take the print out of the filled form. The completed application form alongwith the prescribed fees of Rs. 1500/- (Rs. 1000/- for female candidates) should be sent to Admissions Officer, BITS, Pilani – 333 031. (i) For admission to all the above programmes except B.Pharm.(Hons. ): Candidates should have passed the 12th examination of 10+2 system from a recognized Central or State board or its equivalent with Physics, Chemistry, and Mathematics and adequate proficiency in English. (ii) For admission to B.Pharm.(Hons. ): Candidates should have passed the 12th examination of 10+2 system from a recognized Central or State board or its equivalent with Physics, Chemistry, and Biology and adequate proficiency in English. However candidates with PCM subjects may also apply for Pharmacy program. BITSAT 2019 is a single stage On-line entrance test and duration of the test is three hours. The question paper consists of multiple choice type questions. Each question carrying four options from which students have to choose the right one. The candidates have to answer all the questions on computers at their choice of test centers the day and time of their convenience, at different cities across the country. There is negative marking in the test.One mark is deducted for each wrong answers. Test helds in English language only. Chemistry : Stereochemistry, Organic Compounds with Functional Groups Containing Oxygen and Nitrogen, Biological, Industrial and Environmental chemistry, Theoretical Principles of Experimental Chemistry, States of Matter, Atomic Structure, Chemical Bonding & Molecular Structure, Thermodynamics, Physical and Chemical Equilibria, Electrochemistry, Chemical Kinetics, Hydrogen and s-block elements, p- d- and f-block elements, Principles of Organic Chemistry and Hydrocarbons. Mathematics Algebra, Trigonometry, Two-dimensional Coordinate Geometry, Three dimensional Coordinate Geometry, Probability, Vectors, Statistics, Differential calculus, Integral calculus, Ordinary Differential Equations, Linear Programming. Physics : Heat and Thermodynamics, Electrostatics, Current Electricity, Magnetic Effect of Current, Electromagnetic Induction, Optics, Modern Physics, Units & Measurement, Kinematics, Newton’s Laws of Motion, Impulse and Momentum, Work and Energy, Rotational Motion, Gravitation, Mechanics of Solids and Fluids, Oscillations, Waves. English Proficiency & Logical Reasoning : Grammar, Vocabulary, Reading Comprehension, Composition, Verbal and Non-verbal Reasoning. Here you can find all of the BITSAT previous year question papers answers are free of cost students can download these papers for Engineering Entrance preparation. This Year on 2015 Birla Institute of Technology and Science – Admission Test 2019 conducted written test, the paper is not available with us. Any Candidates who has Last 10 to 20 Years previous solution can share with us. JbigDeaL provides Sample Question Papers with answers for 2019 for BIT SAT Entrance Test Exam 2019 including English and Aptitude. Some of the question may be from out of syllabus. This sample papers doesn’t means to actual paper. Its just for better preparation and test you knowledge in engineering related exams. BITSAT MCQ Questions Answers fo Birla Institute of Technology and Science – Admission Test. This mock test having 25 question each, with four choices. On each click on answers system will tell you where the answers is correct or incorrect. 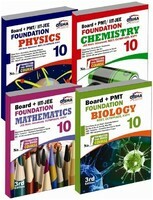 There many online practice set of BITSAT Physics, Chemistry and maths and question answers quiz. Birla Institute of Technology and Science – Admission Test (BITSAT) 2019 question bank is available here which contains a single set of question bank and is useful for any engineering entrance exam. 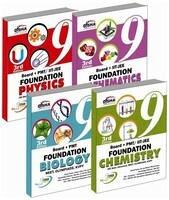 There are so many books for Birla Institute of Technology and Science Entrance Examination 2019. 2019 For Admission to Engineering 2019 exam preparation, but i must say you should have latest two types of book one for BITSAT Last 10 or 20 years question with solution and another book is for BITSAT 2019 syllabus wise subjects description and solution. We have found some best BITSAT books in online you can check below.